As annual pass holders at Disneyland Paris, we quite often don't book a package break which includes meals. We tend to just book a hotel and sort out food when we are there. 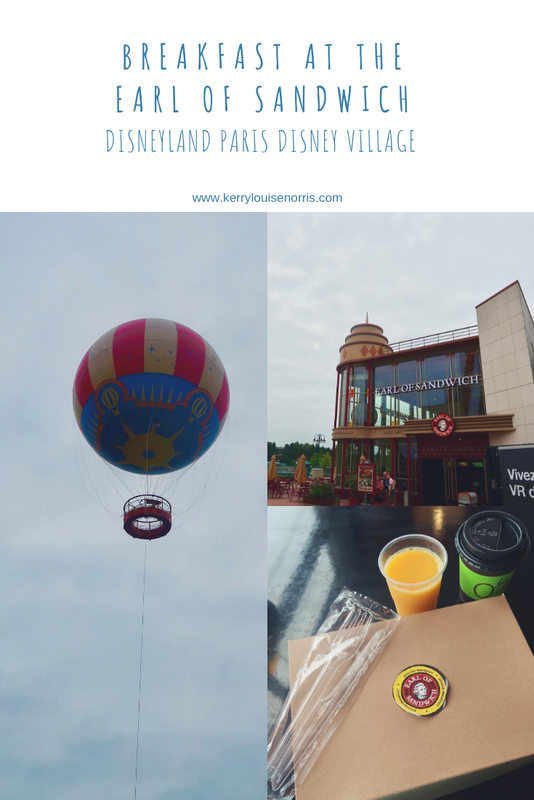 We are entitled to extra magic hours at the park which is early in the morning and therefore we like to try and have a quick breakfast to be able to take full advantage of the short ride queues etc. 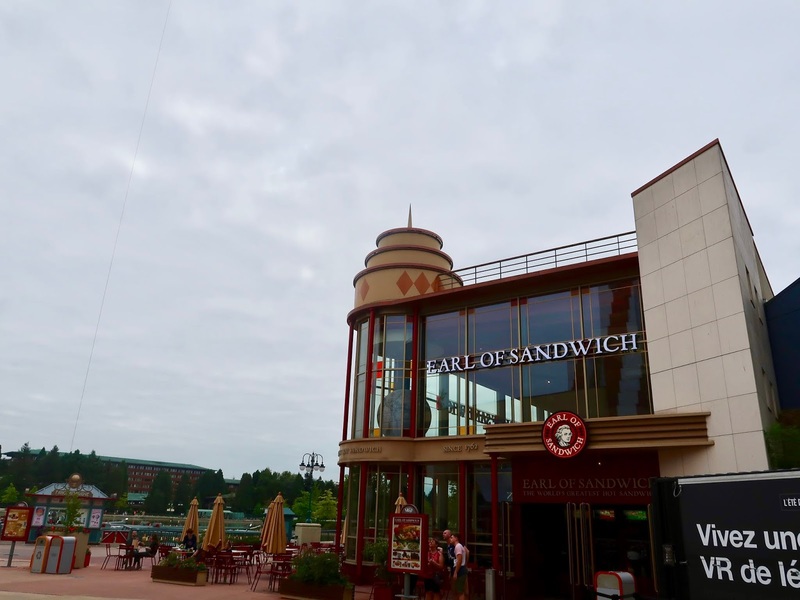 The Earl of Sandwich at Disneyland Paris is a hidden gem and is located in the Disney Village next to the lake. We have previously eaten lunch there and we were big fans of the dining experience when we were in Walt Disney World last year. We didn't even realise they served breakfast so when we were asked if we would like to come and try their offerings, we couldn't resist. We arrived for breakfast at 9am and it was quiet which was nice. There were no long queues and there were plenty of tables. 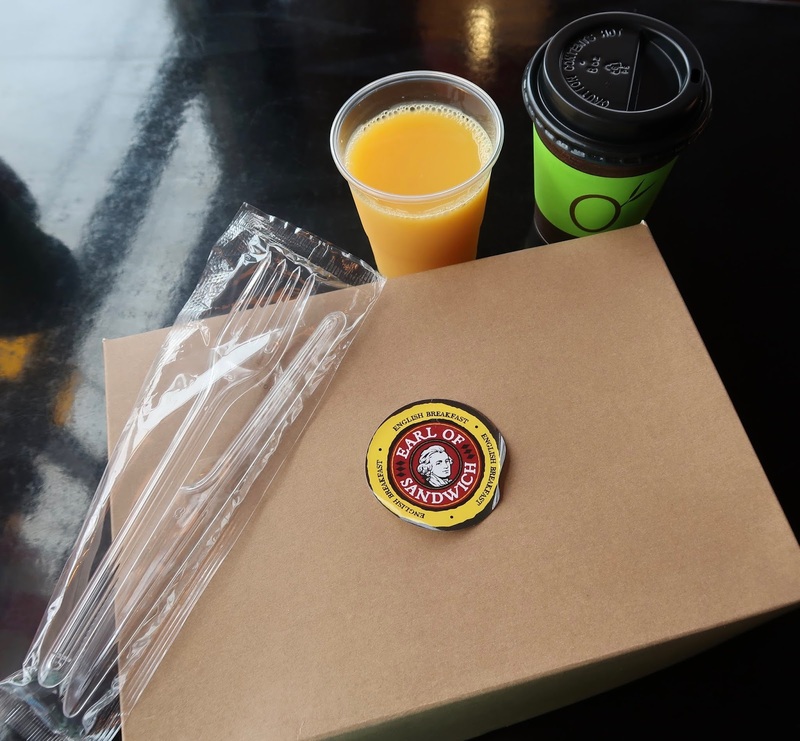 Breakfast is served everyday until 11am and is freshly prepared and made straight after you place your order. You are given a buzzer to take to your table to alert you when your food is ready to collect. We had about a 5 minute wait for ours. All ingredients are high quality and the bread is baked in house using a secret recipe. The restaurant itself is large, covering 2 floors. 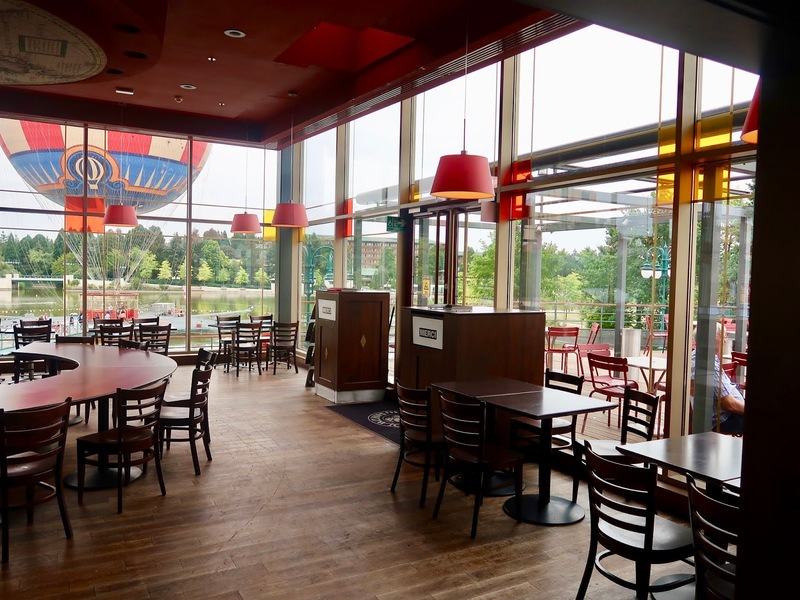 Upstairs also offers indoor and outdoor dining with one of the best views in Disney Village. 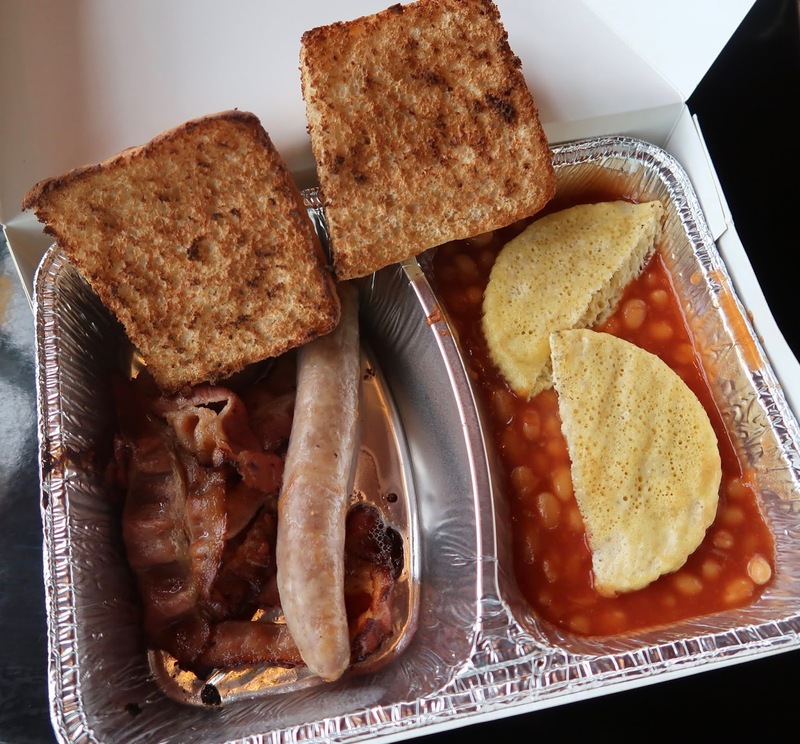 You can get a French breakfast, American breakfast or an English breakfast, all at very reasonable prices. Important to note is that The Earl of Sandwich is the only restaurant offering an English breakfast. For 9.95 euros you can have eggs, bacon, sausage, baked beans, toast and a hot drink. It is served in a box if you wish to take it away to eat. 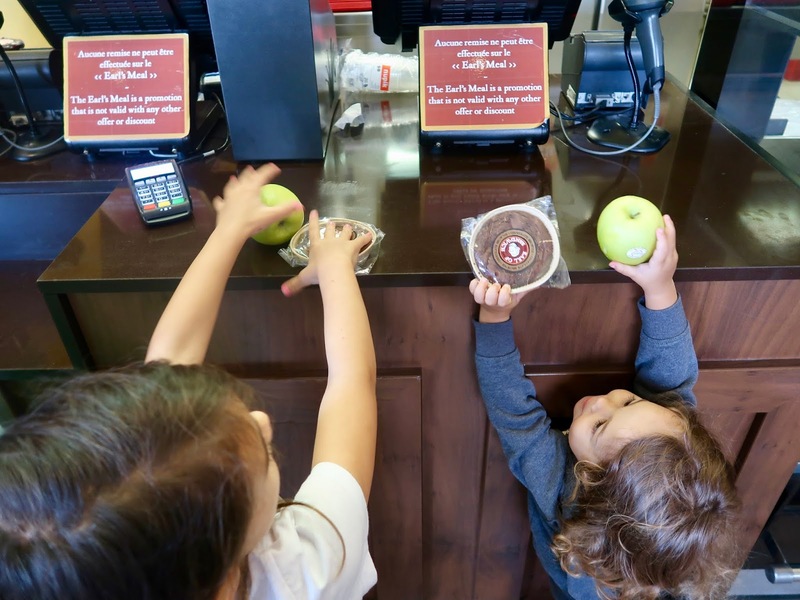 There are also muffins, cookies, fruit and soft drinks to choose from if you would prefer something lighter. The kids chose to share an English breakfast and they also chose fruit and a cookie. They absolutely loved it especially our youngest. She likes to eat a bit of everything so an English breakfast is a perfect choice. There wasn't an option for a kids sized breakfast which is something I would like to see them introduce. It was too big for them to eat for themselves so a child sized portion would have been ideal. My husband and I chose an American breakfast which came with a hot drink. This costs just 6.95 euros. We had a ham and egg sandwich and a bacon and egg sandwich. We both really enjoyed these. My 15 year old cousin also had the American breakfast and he said it was filling. My hubby particularly enjoyed his coffee. 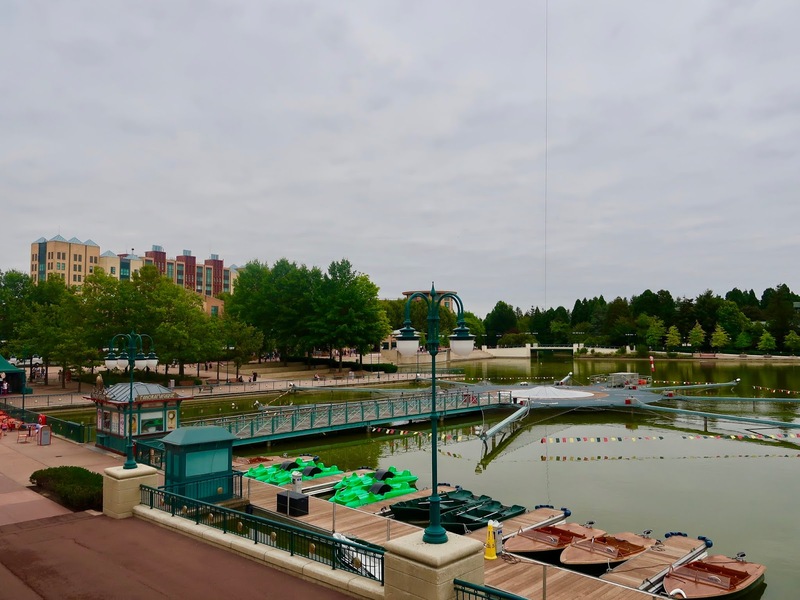 If you've been to Disneyland Paris then you may have tasted the coffee in the park and realised it is not very nice to say the least. He was delighted to finally have a good, tasting coffee. Overall, we really enjoyed our breakfast. It was fresh, tasty and certainly filled us all up until lunchtime. The menu has something suitable for all the family. We found it fantastic value for money. 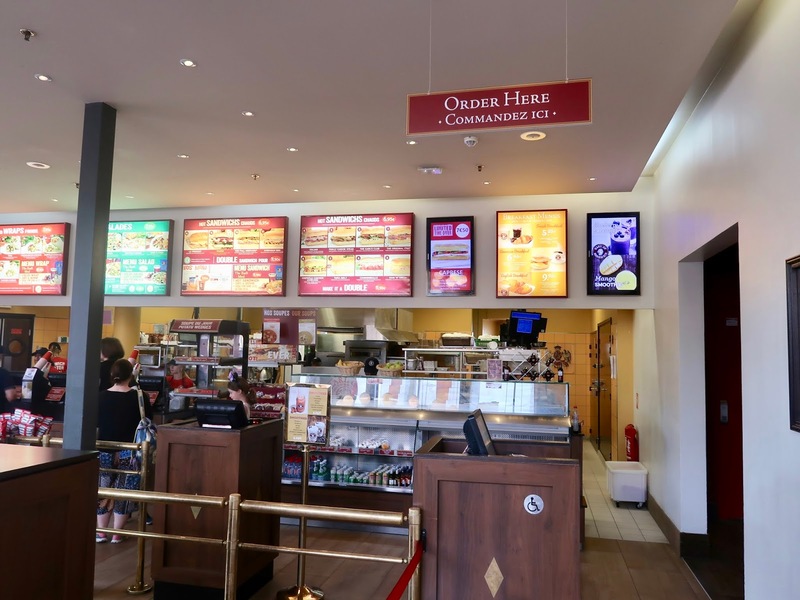 If you haven't got a meal package as part of your Disneyland Paris holiday then the Earl of Sandwich is perfect. It's quick and you can either eat in or grab it to go to enjoy on your walk to the park. We will definitely be returning on our next visit. 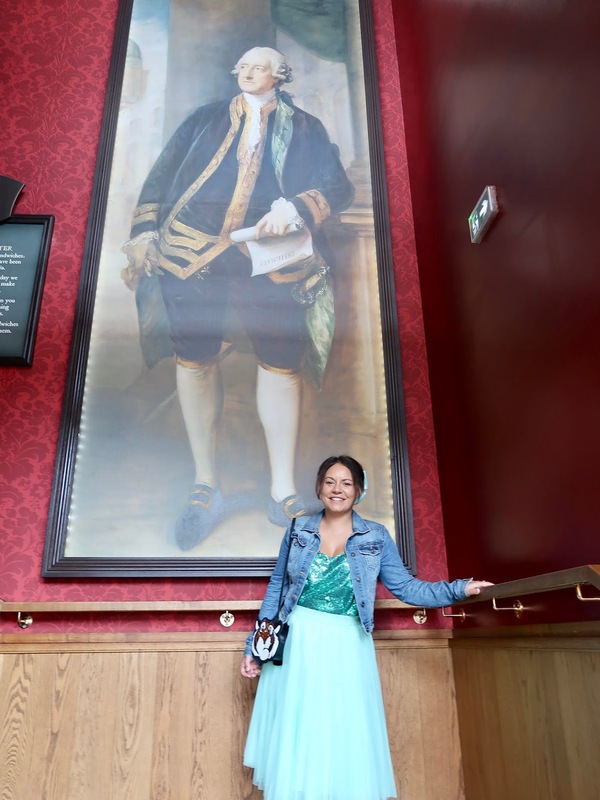 We are HUGE Earl of Sandwich fans here. Never been to the one in DLP but the one over at Florida is one of our favourite places to eat! The breakfast looks yummy. 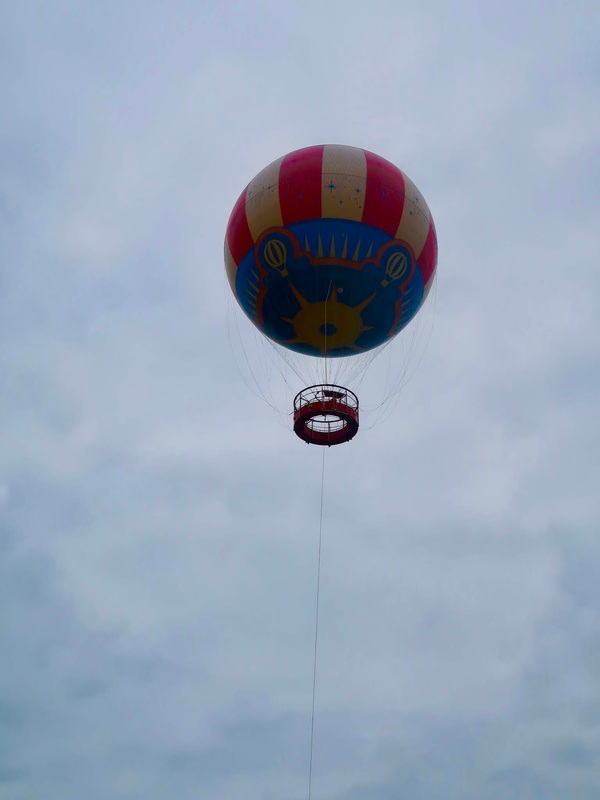 Would love to visit Disneyland Paris again. That does seem very reasonably priced, especially considering the location. It's sometimes hard to find 'proper' food (or drink!) in theme parks. I've been to WDW but not yet been to Disneyland Paris. 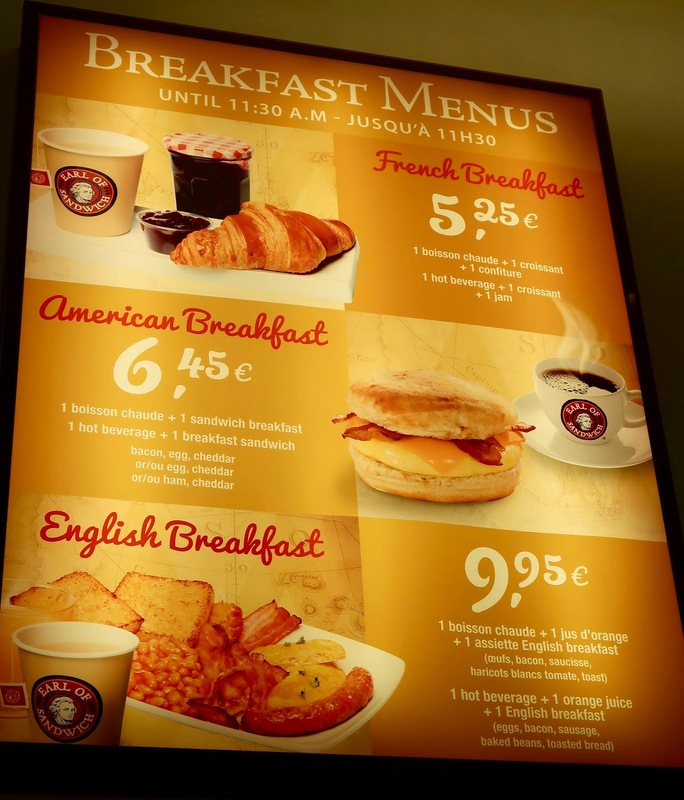 The prices at Earl of Sandwich sound really reasonable. Making a note! Ooh that does look delicious! Love Disneyland Paris, I so need to go back! Oh this looks so yummy - def on our to visit list.